Instead, Coxe shares his Four-Step Process that seeks to rewire the brain, breaking our addiction to easy gratification and replacing it with a richer level of emotional control and a greater appreciation for the process and journey of life. Coxe’s proprietary process emphasizes the need to: acknowledge counter-productive behaviors; confront limiting beliefs; replace them with empowering beliefs or thoughts; and formulate an extensive history or list of the positive experiences resulting from this new belief system. Don’t just let things that bother you slide. 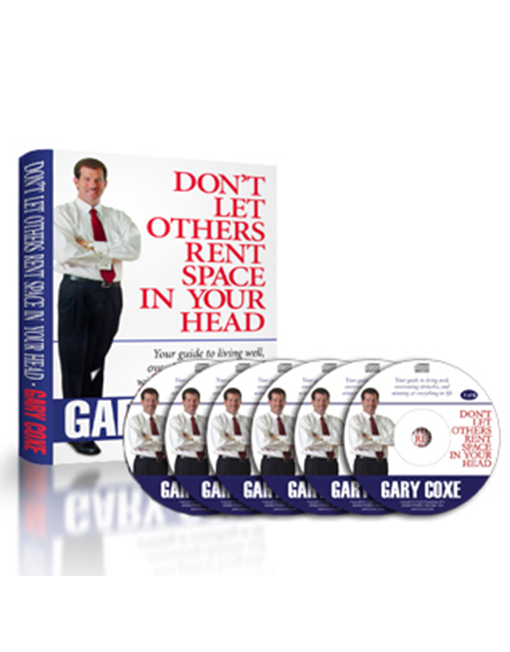 Eliminate the things and people that rent space in your head so you can use that space for thoughts that are helpful and productive. Develop a strong attitude before you need it. Build mental toughness. Be “on stage” no matter how you feel, recognize you can be more completely in control of your feelings & emotions. Depending on where you are in life, positive thinking may be counter-productive.Eliminate irrational optimism so that you can reach your goals more quickly and speed your healing time when confronted with inevitable losses. Use a mentor or even a pessimist when reviewing your goals or business plans;they’ll help you see things you may have overlooked because of your optimism. Take your journey to the next level by helping people in need along the way.Through his own triumph over adversity, Coxe, has learned that the real key to success is learning how to keep going in spite of problems and challenges. While motivation is an important step along the way, according to Coxe, true progress comes from correct, consistent action and motivation alone can lead to action but not necessarily correct action.